British Telecom's payphones modernisation programme is showing results throughout the UK. The new phones have improved features and facilities and customers are making more use of them. But vandalism remains a problem and schemes such as Copacard - highlighted in the last issue of the British Telecom Journal and aimed at fostering relationships between community police and local schoolchildren - and a national car sticker campaign have been devised to help. This article looks at payphone progress to date. British Telecom has ordered 25,000 new-style electronic telephones as part of the final stage in its programme to modernise the UK's 77,000 public payphones. • 10,000 Cardphones which operate on holographically encoded pre-paid Phonecards, from Landis & Gyr of North Acton, London. How much does a payphone cost ? modernisation programme. The more reliable telephones and modern housings are already boosting payphone usage and cutting down vandalism and theft. An 18-month programme to convert most of London's 10,800 public telephone kiosks to the new style housings has also started. The equipment in all these kiosks has already been replaced with modern electronic telephones. A review of payphone progress to date shows that the number of Britain's public payphones has increased from 76,616 last year to 77,370 and that 10,000 new-style housings are now in use, giving much easier access for disabled customers and wheelchair users. A total of 56,000 all-electronic payphones have been installed and the trend towards 'cashless' telephones has been boosted by the installation of 6,000 public Cardphones with Phonecards now available from 8,000 outlets. A programme to convert 3,100 kiosks on Tyneside and Teesside to new-style housings has been completed and elsewhere in the country two new cashless calling methods have been successfully launched. In Bristol, AccountCall allows customers to have the cost of calls charged to their home or office telephone account, and, in London, CreditCall operates on a customer's own credit card or charge card on special telephones at Heathrow Airport and British Rail's Waterloo station. Payphones using Phonecards have proved to be a huge success in improving the quality of service. 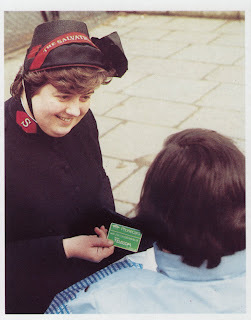 Because they do not have cash boxes the attraction for thieves is removed and British Telecom plans to increase the numbers installed particularly in major towns and cities. Vandalism, however, remains a major concern and the company is actively pursuing new initiatives through police forces, schools and local communities to help to eliminate the problem. Complementing the modernisation programme, all existing electronic payphones and Cardphones are being modified to provide operator access for assistance and transfer charge calls when coin payphones are in the emergency call-only mode because of fault or vandalism. They will also reduce the intrusion of the operator-alert tone which alerts staff of attempted transfer-charge frauds and allows payphone calls through the operator to be charged at the appropriate rate. British Telecom has welcomed a decision by the Department of the Environment to list a further 400 telephone kiosks as being of special architectural and historic interest. The Department of the Environment and British Telecom are to work with English Heritage to identify a representative sample of post-1939 kiosks worthy of preservation. The extension follows the Department of the Environment's recent decision that listing can be given to buildings 30 years old and more. Previously only pre-1939 buildings qualified for listing. To qualify for listing, the 400 extra boxes will have to be judged to enhance their surroundings or be sited near listed buildings or in attractive town and country locations. 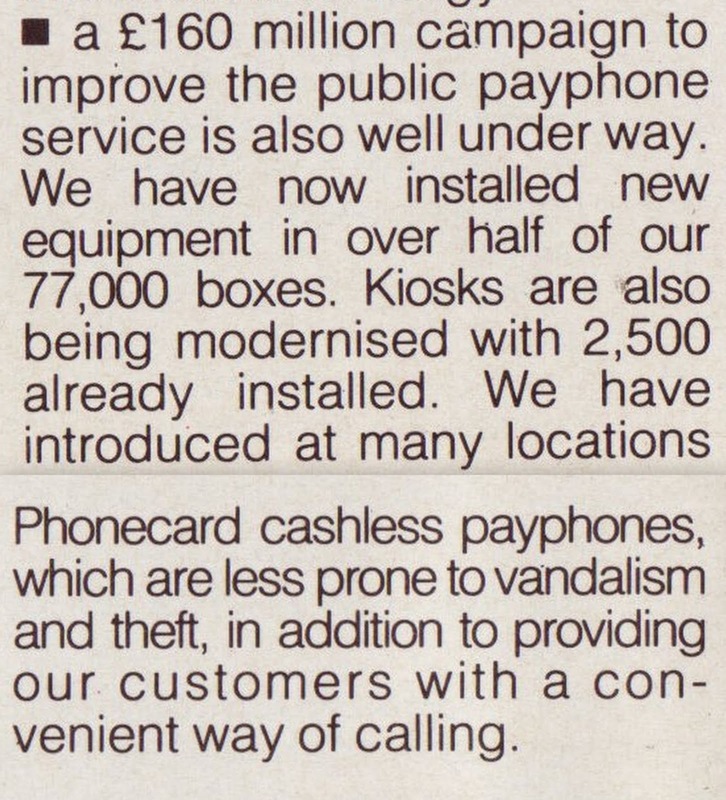 See article on payphone modernisation on page 60. Typical of the many efforts to beat the problem of payphone vandalism is a joint scheme between Merseyside Police and British Telecom's Liverpool District. Three payphones have been installed in police stations in areas which have suffered from extensive vandalism. The trial at police stations in Wavertree Road, Belle Vale and Kirkby will last for 12 months and may then be extended to other areas. Meanwhile, in Speke and Halewood, payphones are to be moved to sites outside and within police stations. The initiatives complement a£3 million modernisation programme for payphones in the Liverpool District and the popular education package which uses the 'PC Payphone' character. 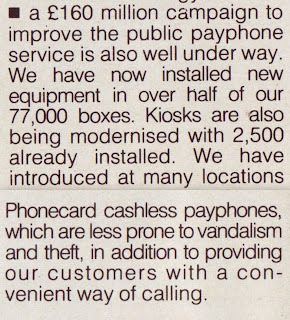 The aim of the schemes is to make working payphones available 24-hours a day to the community in areas of high vandalism. By putting payphones under the protection of the local police station, British Telecom hopes to make them less vulnerable to vandals and at the same time the move will increase the number of payphones available to residents of the areas. BR plan to install the phones, which use BTs familiar green Phonecard system, on intercity routes over the next 2 years. BT have already supplied 9 system 4 train phones to BR on intercity pulman trains serving London Liverpool Manchester Leeds Newcastle and Blackpool, and these will be converted from cash to Phonecard payment. BT is to phase out over half of the UK's remaining telephone boxes because some are not being used at all BT is to scrap half of the UK's remaining 40,000 telephone boxes and focus on the ones in locations where people are more likely to use them. In 1992 at their peak before mobile phones became popular, there were 92,000 phone boxes in the UK. Telephone boxes still handle 33,000 calls a day, but one third of kiosks are never used to make a call. BT said many phone boxes had become a burden and were expensive to repair and maintain. "BT is committed to providing a public payphone service, but with usage declining by over 90% in the last decade, we continue to review and remove payphones which are no longer used," a BT spokesperson told the BBC. BT intends to scrap the 20,000 telephone boxes over the next five years. Out of the 40,000 phone booths still working, 7,000 are the traditional red phone boxes designed in 1935 to commemorate the silver jubilee of King George V.
More than half of phone boxes lose money and the number of calls is declining by more than 20% per year. The cost of maintaining telephone boxes annually is about £6m. BT is responsible for repairing damage to the kiosks, including replacing glass panes and broken receivers, as well as removing graffiti, rubbish and human waste. It is estimated that 93% of all people in the UK now own a mobile phone, and 98% of the UK has 3G or 4G mobile internet coverage. However, phone booths are still used by children, the elderly, people who can't afford mobile phones, and in emergencies when smartphone batteries go flat. If there are two kiosks within 400m walking distance of a site, BT is allowed to remove one, as long as there is one left. But if the telecoms provider seeks to remove the only phone booth on the site, Ofcom rules state BT must inform the public and consult with the local authorities. The authority then has 90 days to object, which is known as a "local veto". "Payphone removals are carried out in strict adherence to Ofcom guidelines and, where appropriate, with the consent of local authorities. Where we receive objections from the local authority, we won't remove the payphone," said BT. In areas where telephone boxes are not being used, many local communities have transformed and preserved phone booths by buying them for £1 from BT under the Adopt a Kiosk scheme. So far, more than 4,000 kiosks have been repurposed as mini-libraries and art galleries or to house defibrillation machines, information centres, shops and exhibitions. BT is also replacing phone booths with high-tech InLinkUK kiosks that come with ultra-fast 1Gbps Wi-Fi hotspots, a touchscreen offering information and directions, free UK landline and mobile phone calls, and two USB smartphone charging ports. Over 750 InLinkUK kiosks are being installed in London and other cities across the UK. The famous yet obsolete telephone box continues to litter streets across Britain. Now, BT has announced, it's time for the derelict boxes to go. A familiar feature on Britain’s streets, the iconic telephone box is nearing the end of the line. Once a lifeline to the wider world for many, a way to avoid a row if you were running late for your tea, today they lie dormant, sad and sometimes a bit smelly, housing only empty chip wrappers and the occasional fly-poster. This week, BT hung up on 20,000 phone boxes across the country after usage plummeted by 90% in the past decade. 33,000 calls a day are still made from phone boxes. But a third are only used on average once a month, with many others abandoned completely. With the number of calls dropping 20% each year and the cost of maintenance rising to £6m it seems the landmark is running out of spare change to keep the calls going. At their peak, there were 92,000 payphones in the UK, but with other countries ditching the dated method of communication (Finland, for example, chucked all of their phone booths in 2007), the British telecoms giant has followed suit. The iconic red phone-box: yours for a small fee. While the payphone is fazed out, over 2,000 traditional red cast iron boxes will survive the cull – as they are as categorised as Grade II listed buildings. 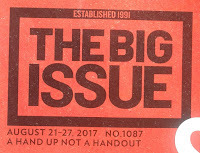 And if you’ve got a spare few quid, you could even pick up one of your own. BT’s Adopt-A-Kiosk scheme gives communities the chance to retain their iconic red kiosk, developing it into whatever they please. Since the campaign launched, 4,000 red boxes across the UK have been returned to their former glory, housing everything from a life-saving defibrillator to a community library. Fancy picking up one of your own? Take a look at how your community can band together to save the red icon.